Want this item tomorrow, Thursday 25th April? Order within the next 2 hrs 36 mins and choose Next Day Delivery during checkout. 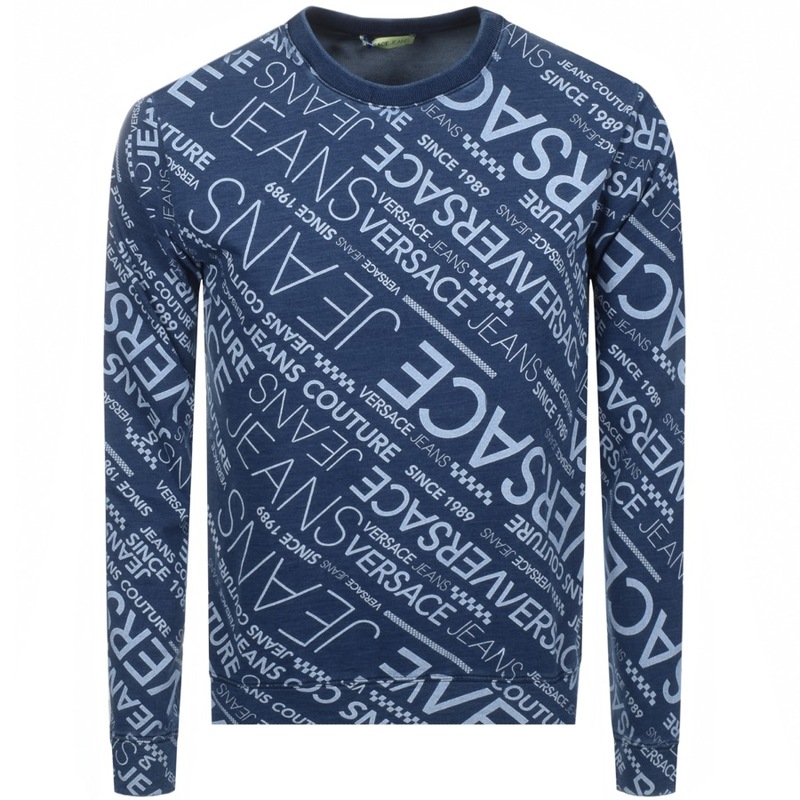 Versace Jeans Crew Neck Sweatshirt In Indigo Blue, A ribbed crew neckline with ribbed cuffs on the long sleeves and a stretch ribbed waistband. An overall printed design featuring the signature Versace Jeans logo in different font styles and sizes in white. 97% Cotton And 3% Elastane. Brand New Collection Of Versace Jeans Hoodies, Zip Tops And Jumpers Live Online.